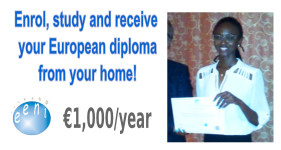 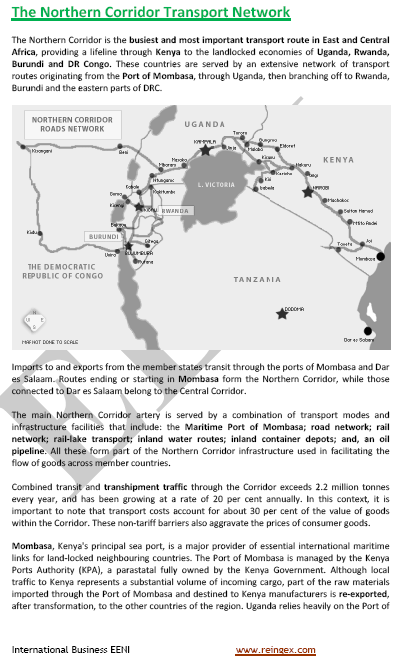 Syllabus of the Online Course (Subject): African Multimodal Transport Corridors. 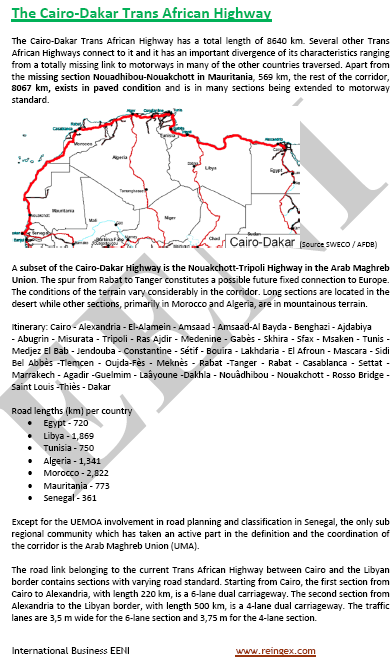 Trans-African Roads. 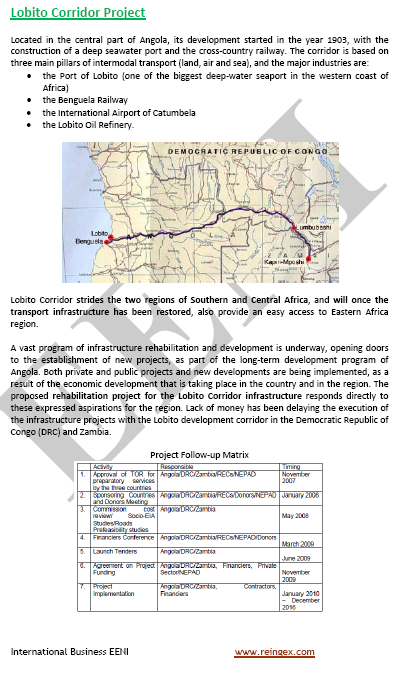 Description of the Online Course: African Transport Corridors. 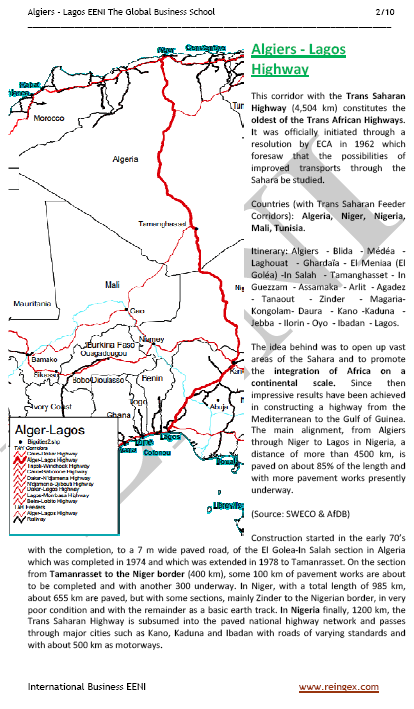 Fifteen African Countries are landlocked: Botswana, Burkina Faso, Burundi, Chad, the Central African Republic, Ethiopia, Lesotho, Malawi, Mali, Niger, Rwanda, Swaziland, Uganda, Zambia, and Zimbabwe. 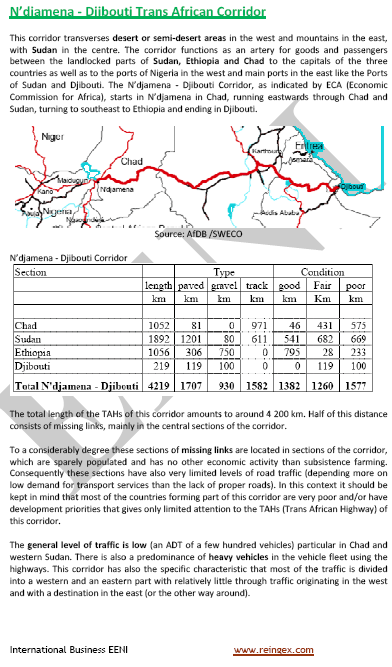 According to the “Regional Integration and Trade Department” of the NEPAD, there are four types of African Corridors. 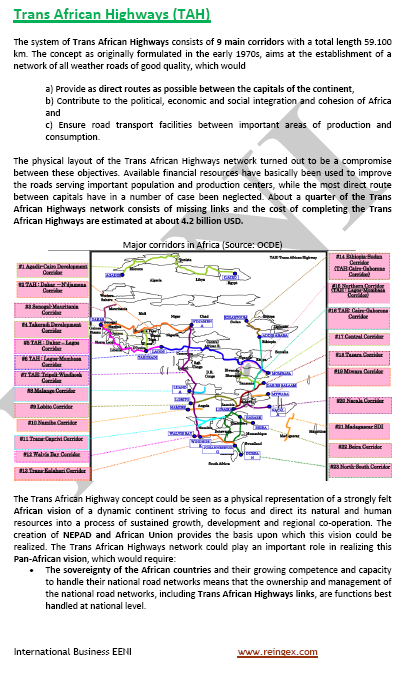 The Trans-African Roads (economic area of African Civilisation) consists of nine corridors. 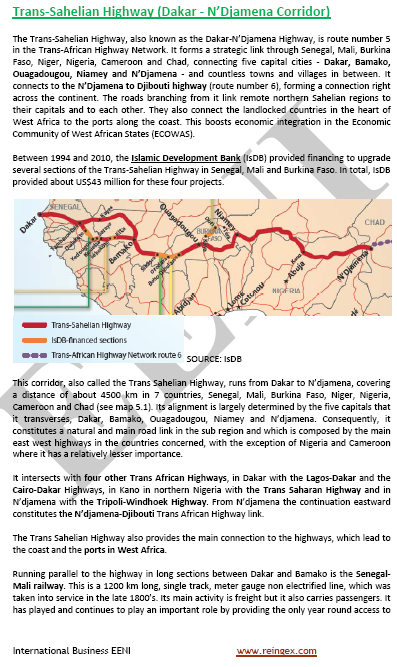 These African Corridors should connect with direct routes all the African's capitals, improve Road transport facilities and finally contribute to Economic Integration of the African continent.